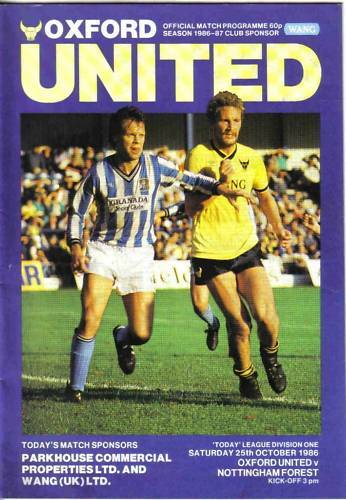 1 v Mansfield Town (County Cup Final), 17/8/86. 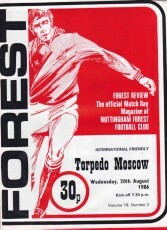 2 v Torpedo Moscow (Russia, pre-season friendly), 20/8/86. 3 v Charlton Athletic, 27/8/86. 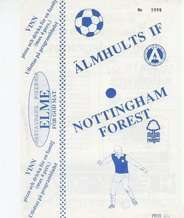 5 v Aston Villa, 13/9/86. 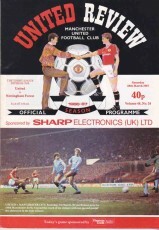 7 v Manchester United, 4/10/86. 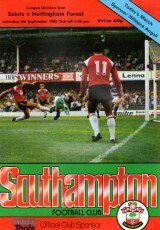 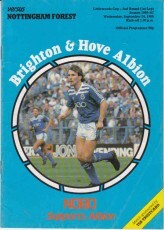 8 v Brighton & Hove Albion (Littlewoods Cup 2-2), 8/10/86. 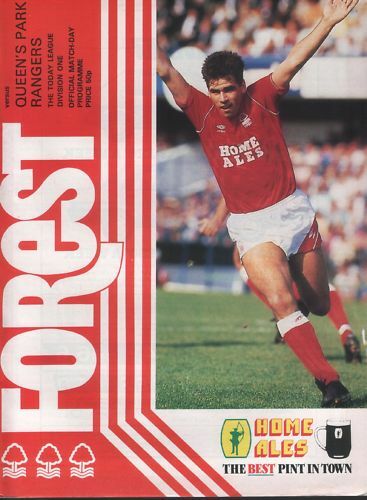 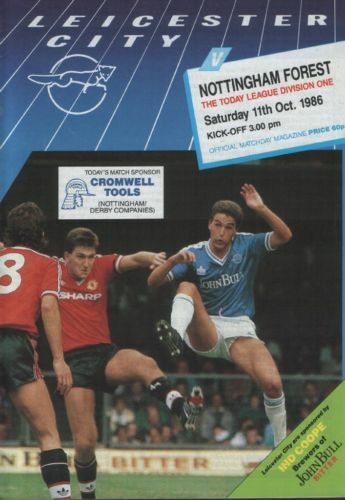 9 v Queens Park Rangers, 18/10/86. 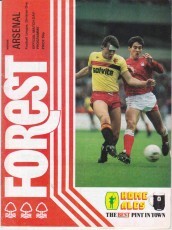 10 v Sheffield Wednesday, 1/11/86. 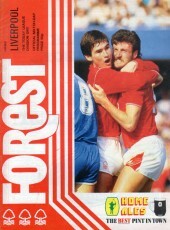 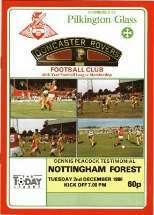 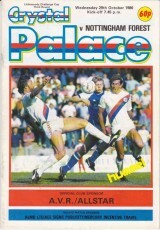 11 v Crystal Palace (Littlewoods Cup 3, replay), 5/11/86. 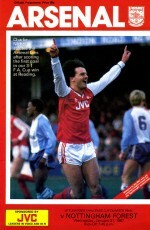 13 v Manchester City, 6/12/86. 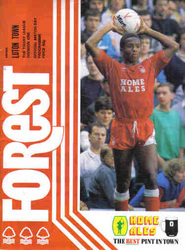 15 v Luton Town, 28/12/86. 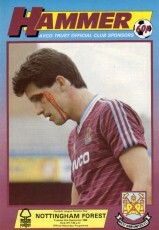 18 v West Ham United, 14/2/87. 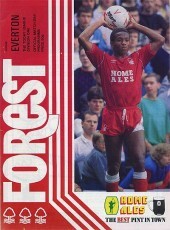 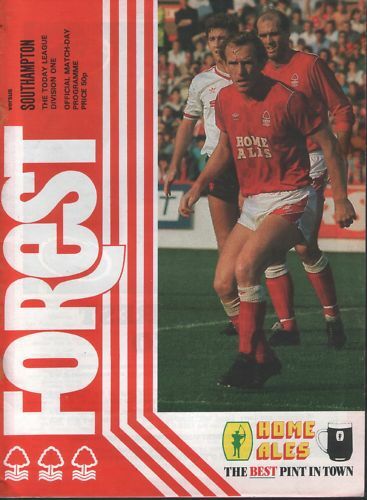 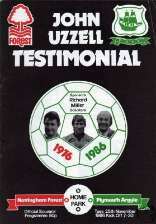 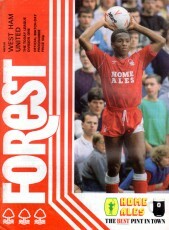 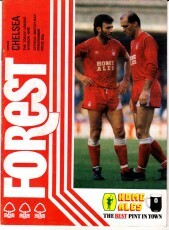 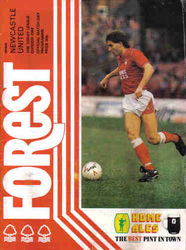 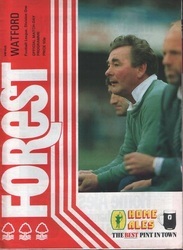 20 v Oxford United, 7/3/87. 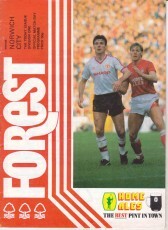 21 v Leicester City, 22/3/87. 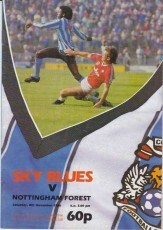 22 v Coventry City, 4/4/87. 23 v Norwich City, 20/4/87. 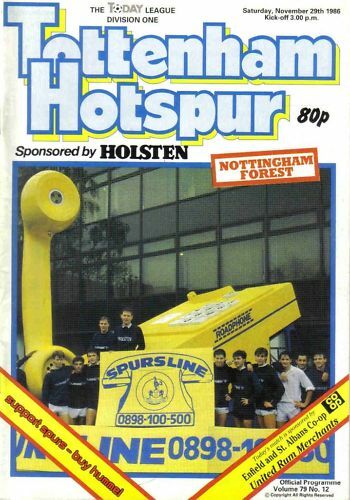 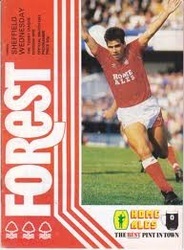 24 v Tottenham Hotspur, 2/5/87. 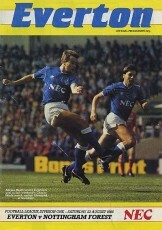 25 v Newcastle United, 9/5/87. 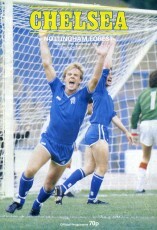 - v Derby County (Ian Bowyer Testimonial), 15/5/87. - England Schoolboys v Switzerland Schoolboys, ?. 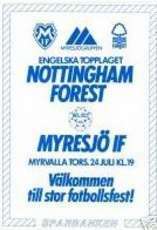 (1) Valleivogels (Holland) v Nottingham Forest (Pre-season friendly), 2/8/86. 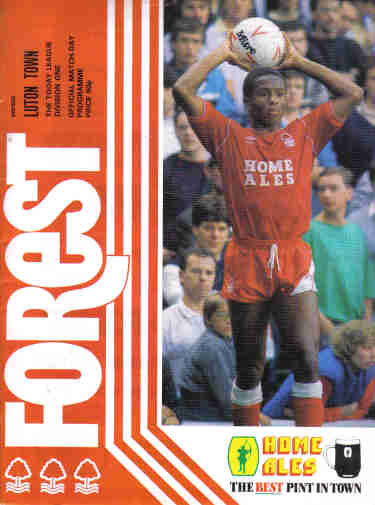 (2) Stevo (Holland) v Nottingham Forest (Pre-season friendly), 3/8/86.